30 Year Reputation for Quality and Reliability. We coordinate with county officials and furnish needed permits. We work with power company personnel to ensure you get the correct service to your needs. All installations are performed by highly trained, professional electricians. If you have a fuse box containing “Edison base” screw-in fuses. If your electrical panel is one of the following brands: Federal Pacific, GTE /Sylvania, Zinsco, I-T-E Pushmatic. Each of these brands have well documented safety issues. 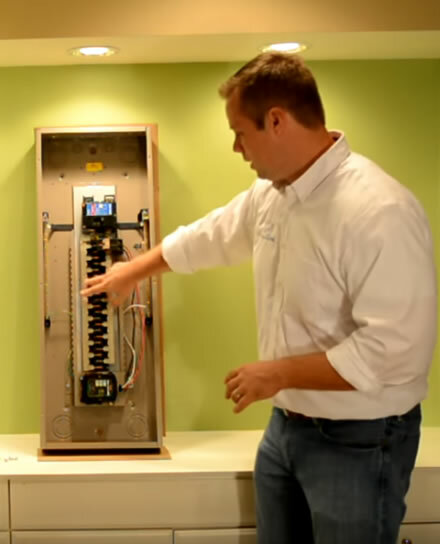 If your electrical panel is located in an unusual location such as a bathroom or closet. 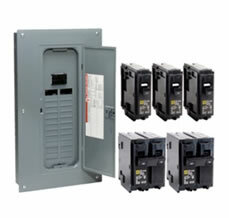 If your electrical panel does not have a main breaker rated at 150 Amps or 200Amps. 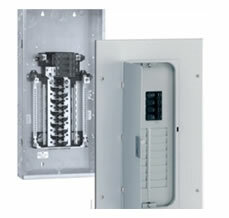 Some older panels use a “split buss” design, which does not use a main breaker. These panels can be easily overloaded because of their obsolete design. If you see rust on the bottom or side of your electrical panel. What is present on the exterior of the panel may also exist on the sensitive internal components, such as the main lugs, buss bars, and circuit breaker trip mechanisms. 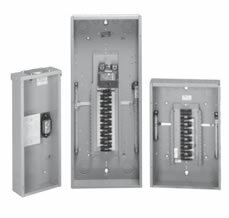 All of these can lead to delayed circuit breaker response or catastrophic failure in the event of a short circuit, ground fault, or overload. If you are planning a major kitchen or bathroom renovation. New kitchens and bathrooms require nearly three times the number of circuits as they did in houses built twenty years ago. If you are planning on building an addition. If you are adding a second or third HVAC system, or if you are planning on replacing a gas or oil powered furnace with a heat pump. If you are planning to install an electric “tankless” water heater. If you plan on purchasing an electric vehicle with plug-in charging. "John and Bryan did an amazing job with our panel upgrade today. They were done so quickly and even checked other rooms and fixed problems without charging us a dime more than the estimate. Thanks so much! I will absolutely recommend your services to everyone that needs it." "Bill Root came to my house and provided guidance, a recommendation and quote to install a new service to my barn over 400 ft from my house. In addition to his quote, Bill co-ordinated with NOVEC to install telephone poles and bring power to the meter. The technicians that performed the work were prompt, professional and extremely loyal to their employer. I highly recommend Root Electric and will certainly use them for further electrical needs."